A webcam with a busted case was the perfect excuse to work on a fun prototyping/fabrication experiment. 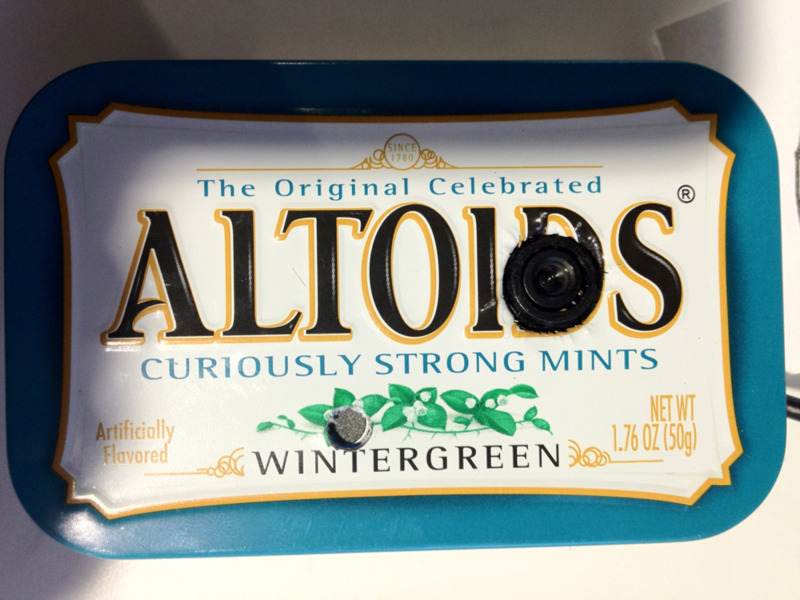 I looked to a recently emptied Altoid tin that I had on my desk, as inspiration, and away I went. I used paper, tape, and foam to build in an infrastructure to the case to keep the camera from shuffling around, and prevent the circuit board from touching the metal sides of the enclosure. Using some small pliers, I created holes in the face of the tin for the camera lens and microphone. Once the case was complete, I added a mount for attaching to other structures. I also added a drawing of the R + D lab mascot on the front.